Brooklin Laser Hair Removal Clinic is located in Brooklin, Ontario and is best known for their hair removal, advanced facials, lashes and makeup application. Graphic a la Design Services: Complete branding including logo; stationary; gift cards and certificates; 12 page product and service brochure; direct mail post cards; spa service consent forms; daily social media marketing and monthly promotions (Facebook / Instagram / Twitter), Constant Contact email marketing; YouTube videos; storefront signage; photography; Vagaro online booking; MS Office 365 email setup and maintance; and website (design, copywriting and monthly updates). Natalie Wilson, a three time breast cancer survivor created High Heal Diaries as a forum for women to share their stories of personal struggle in order to help others. 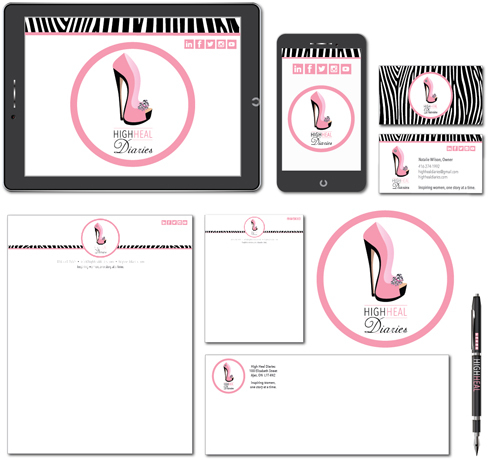 Graphic a la Design Services: Complete branding, logo, business cards, letterhead, #10 envelope, note pads, YouTube Video Q-cards, social media artwork, website design (including copywriting), pens, oversized 6′ x 7′ banner and annual Walk In My Shoes event branding. 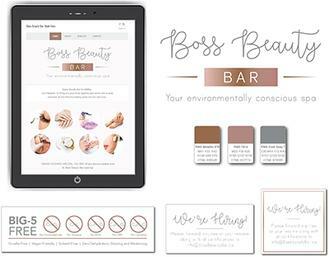 Boss Beauty Bar has a fantastic group of highly trained, certified and forward-thinking ladies, passionate about our eco-friendly products and services. 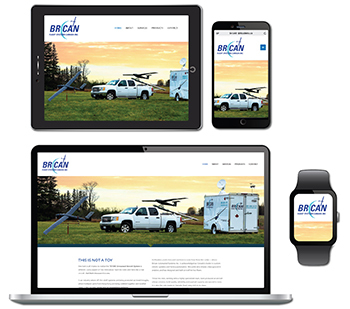 Graphic a la Design Services: Complete branding including logo, website (design and copy writing, addition of scheduling software), custom graphics, various service information post cards, brochure, social media artwork and MS Office 365 mail set up and maintenance. 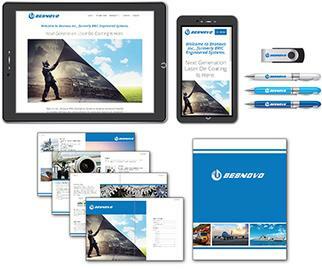 BESNOVO Inc, is a global company that develops advanced industrial automation and laser de-coating solutions for aerospace, automotive, advanced manufacturing and other sectors, world-wide. Graphic a la Design Services: Branding including website, inner-office wall art, corporate bi-lingual brochures and YouTube videos in English and Chinese for international marketing and trade show purposes. 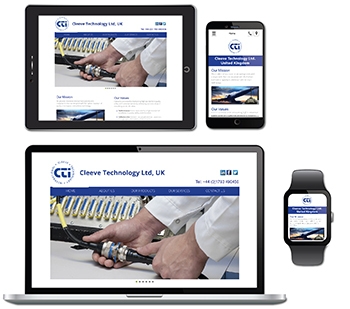 Cleeve Technology Ltd., located in the United Kingdom provides innovative interconnect systems and components that are designed with the highest standard of quality in aerospace and defense technology. 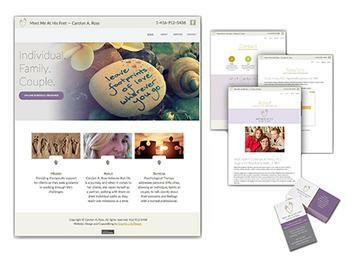 Graphic a la Design Services: Re-brand including website (design and copywriting), corporate brochures and social media. 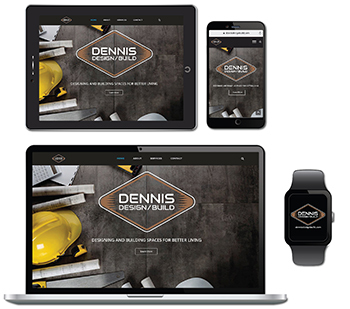 Dennis Design/Build is a team of highly skilled trades professionals, we work together to transform residential homes to reflect the lifestyles clients dream about. Graphic a la Design Services: Website design, Office365 email set up and maintenance and social media (branding, holiday greeting, 5-star review and promotional posts). Graphic a la Design Services: Website re-design, create a vector version of the logo, design business stationary and updating social media. 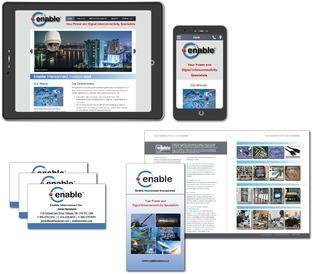 Enable Interconnect is an international company that provides innovative and reliable interconnect solutions through the design, assembly and service of industrial, commercial, aerospace and defence applications. 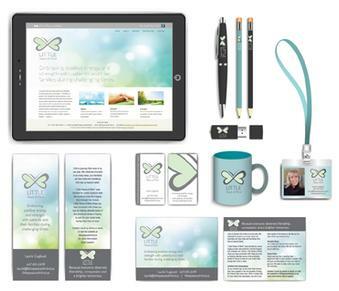 Graphic a la Design Services: Complete re-branding, business cards, digital letterhead, website (design and copywriting), product supply brochure, trade show promotional items, in-house photography, social media and MS Office 365 mail set up and maintenance. 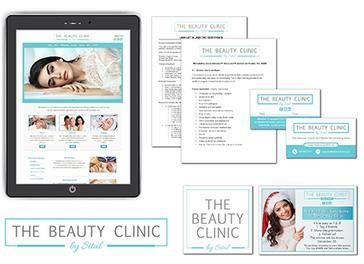 The Beauty Clinic’s mission is to exceed client expectations by offering professional, expert services with the highest sanitation standards, quality products and exemplary care. Graphic a la Design Services: complete re-branding, mission statement, business cards, digital sales sheets/forms, website (design and copywriting) and social media advertisements. Little Peace of Mind helps you stay connected with those you love by helping alleviate some of the emotional stress of having to care for your loved ones during their time of need. Carolyn A. Ross, DCC, Registered Psychotherapist, CRPO, believes that life is a journey, and when it comes to her clients, she views herself as a partner, walking with them on their individual paths as they reach one milestone at a time. 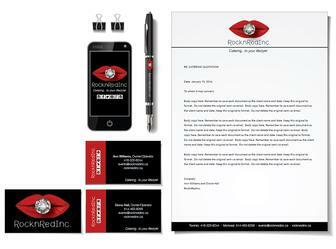 Graphic a la Design Services: Complete re-branding including logo, website and business cards. RocknRed inc. Catering…to your lifestyle! Set your tastebuds ablaze with the mouth watering cuisine of RocknRed Inc. authentic island food. 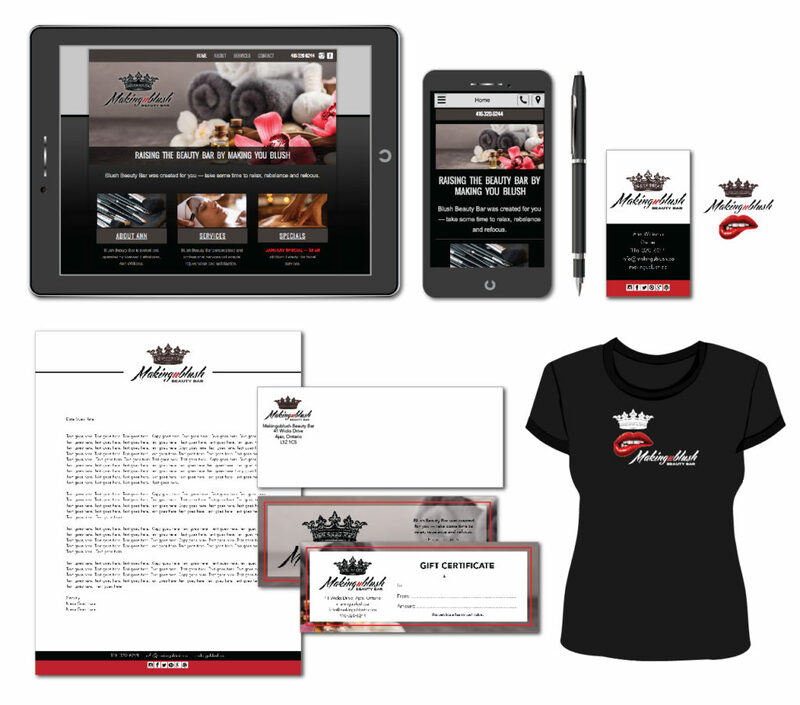 Graphic a la Design Services: complete branding, logo, business cards, letterhead, note pads, and assisted the start up company with various branding and marketing strategies. 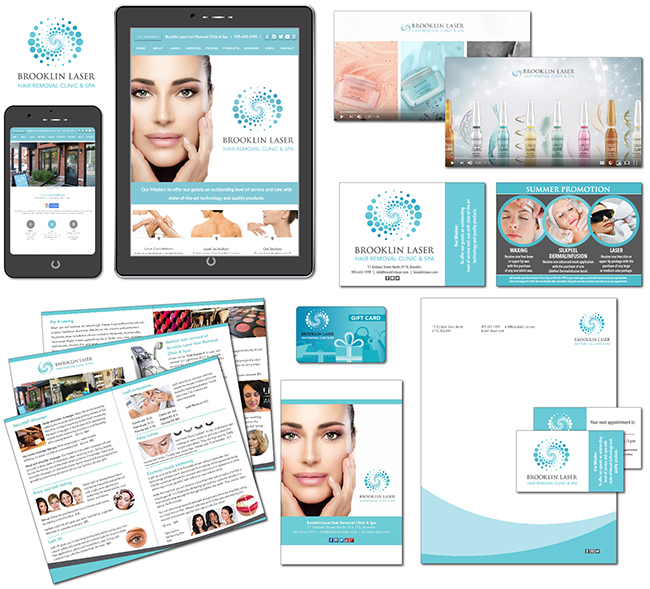 Graphic a la Design Services: complete branding, logo, business cards, letterhead, note pads, website (including copywriting), electronic MS word letterhead template, gift certificates social media.